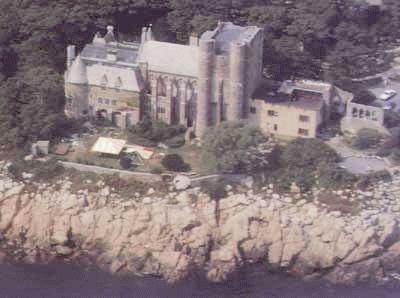 Hammond castle is located on the coast of Massachusetts near Gloucester. The castle which was constructed between 1926 and 1929, was the home and laboratory of John Hays Hammond Jr. Mr. Hammond was an inventor who was a pioneer in remote control and held over four hundred patents. The building is a collection of 15th, 16th, and 18th century architectural elements and sits on a hill overlooking the Atlantic ocean.